After Newfoundland joined Canada in 1949, Premier J.R. Smallwood believed that industrialization would prevent a mass exodus from the economically backward province to mainland Canada in search of employment. 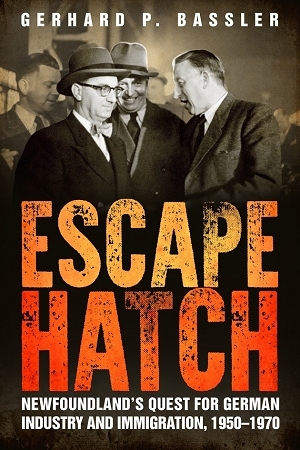 Escape Hatch traces Smallwood’s recruitment of each individual industry from the perspectives of both the Newfoundland government and the foreign industrialists. The book examines the conditions under which each of these industries operated and the reasons for their successes and failures. This is the first in-depth account of how and why the Newfoundland government acquired 17 so called New Industries - 13 from Germany, one from Austria, one from Latvia, one from England, and one from Newfoundland - as well as the 1,000 or so immigrants who came to Newfoundland and Labrador in the 1950s and 1960s as a result of Smallwood's initiative.